Pink Himalayan Sea Salt has been used in rituals and prayers for energy cleansing, purifying, harmony, and peace. Bath salt, detox face salt, ritual salt, or cooking salt. *This Salt CAN be consumed. 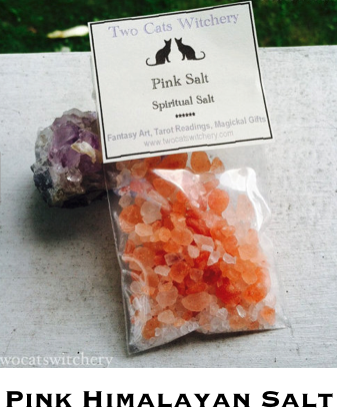 Our Handmade Pink salt mixture makes a wonderful addition to your personal rituals, prayers, or spells. 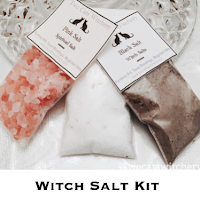 Our salts can be used for ritual baths, placed under candles, as a circle sprinkle, as altar salts, or sprinkle around doors and windows. Hand-crafted from our original recipe, a must have of spiritual supplies. Handmade with 100% pure Pink rock salt, harvested from the Himalayan Mountains. A combination of both pink and white organic salt. 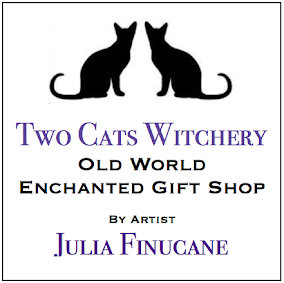 Two Cats Witchery Handmade Ritual Salts are mixed with sea, organic white, and kosher salts. Used for personal spiritual rituals, prayers, spells, spiritual development, energy cleansing, chakra and mediation. Salts are tools, the outcome and intent is up to you. Many cultures believe salt is purifying and brings harmony, peace, and positive energy. 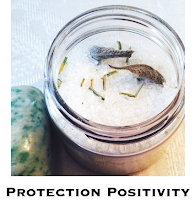 These cultures use salt to cleanse away negative energy in a room or spiritual tool. Made to order, special for you. Use in a bath or as a detox face wash. If you have allergies or sensitive skin, I advise testing before using on skin or in a bath. This pink salt is used for spiritual use, CAN be consumed. Perfect on fish and meats. It looks very pretty in cream sauces and gives you that added touch. Align this salt with you and your specific intent before using. Hold it in your hand, visualize and state out loud your intended outcome. Do this until you feel the salt is aligned with yourself and your intent. Placing the salt under a full moon is also believed by many cultures and spiritual paths to "charge" the salt. Visualize and state out loud your intended outcome while placing the salt under the moon. Leave over night. Sun "charging" is done the same way. Each Ritual salt comes in a plastic zip lock style bag. Keep your salt in a cool, dark place such as a cabinet for long lasting. Keep out of the sun. If stored correctly, salt can last up to a year. Salts have been used in many different cultures and spiritual paths. These salts go along way, so use sparingly. NOT for consumption. Ready for your use. If you have any questions, please contact me prior to purchasing. Please allow 3 - 5 days for making. ~ please note, this listing is only for 1 bag of salt. Props are for photo's only. If using as a ritual bath, I recommend putting the salts into an organza bag or muslin cloth bag to prevent the herbs from sticking to the sides of your bath tub or getting into the tub drain.